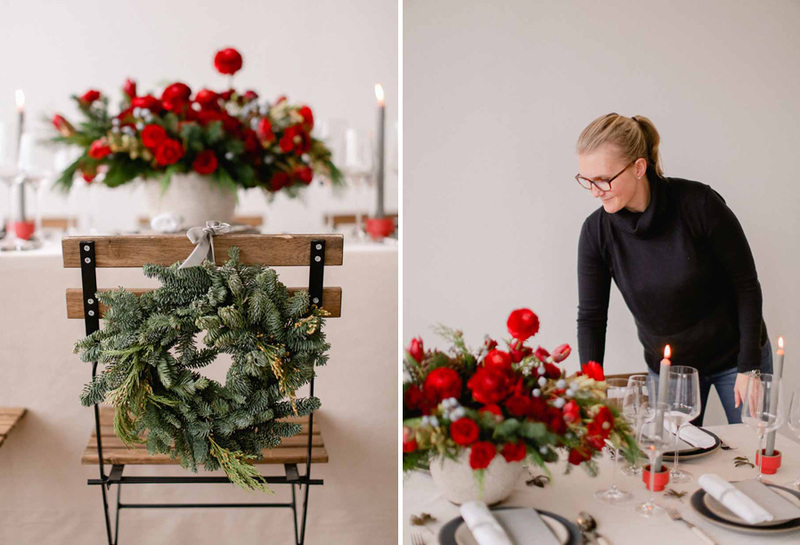 I can’t believe the holiday season is quickly approaching us! 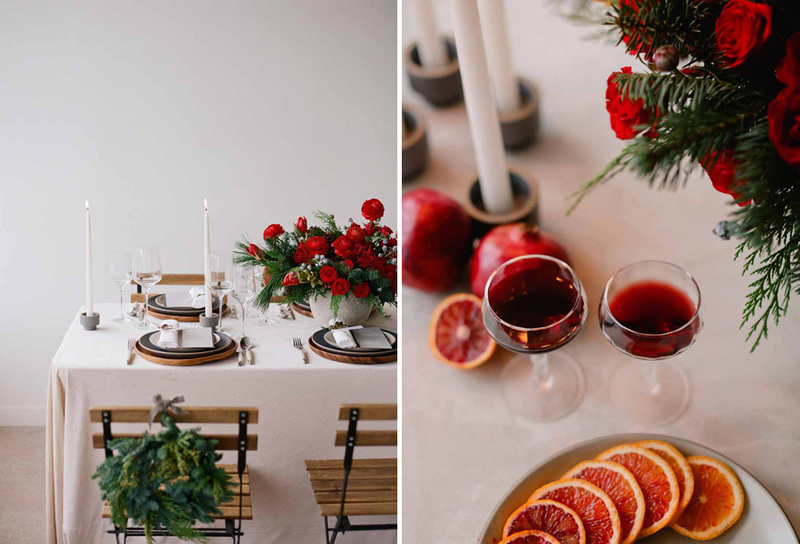 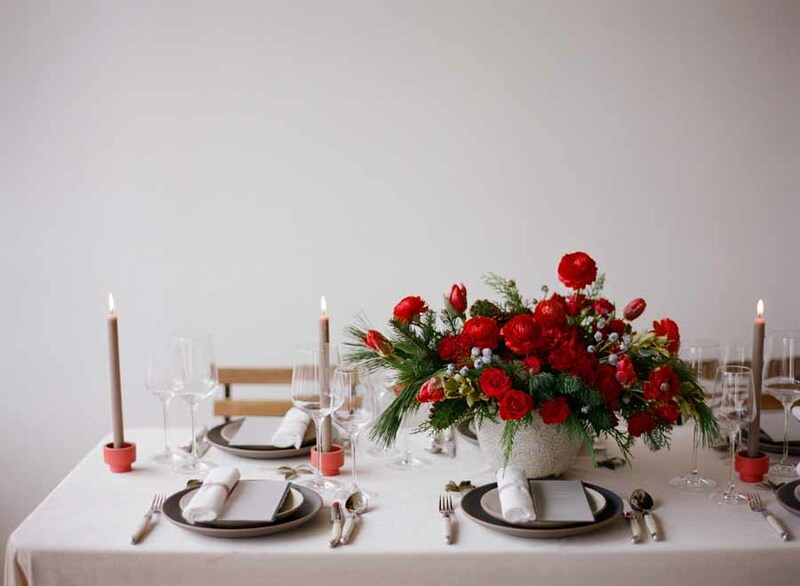 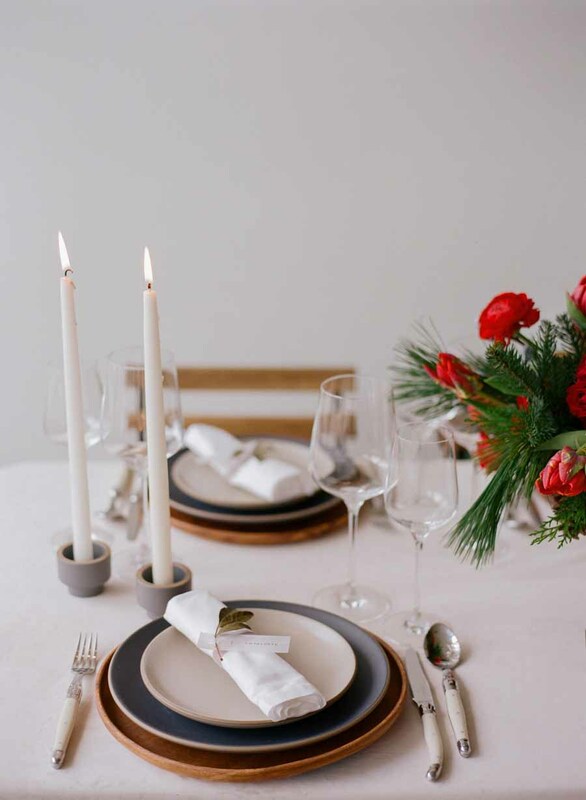 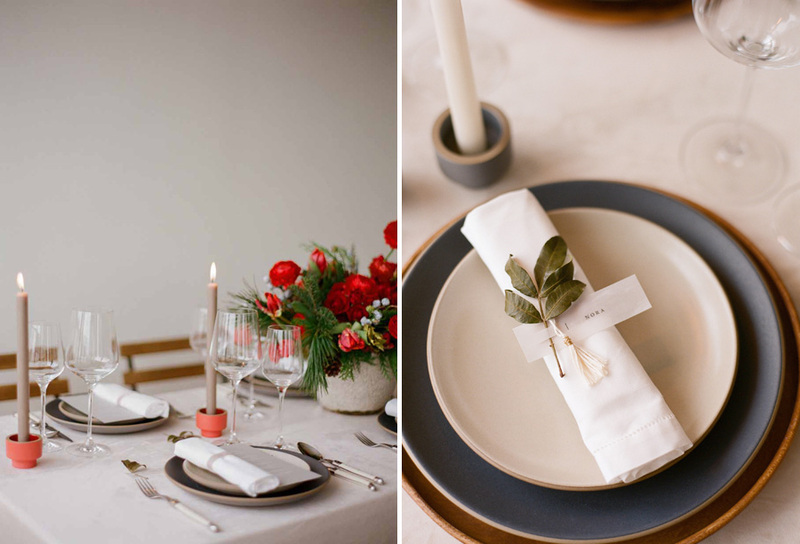 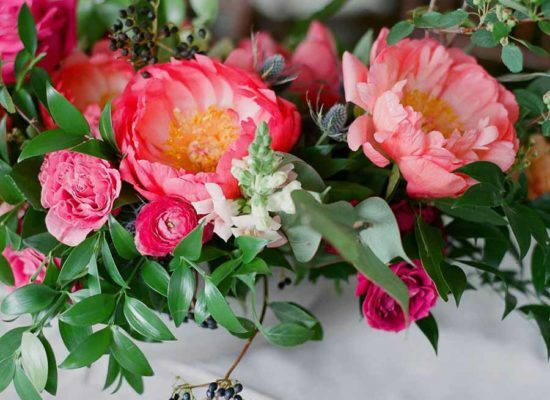 We love a well dressed table (obviously) and so we collaborated with Laura Murray and florist, Bare Root Floral, to capture these merry details. 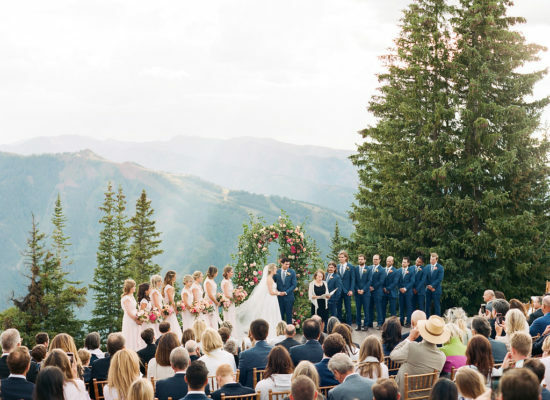 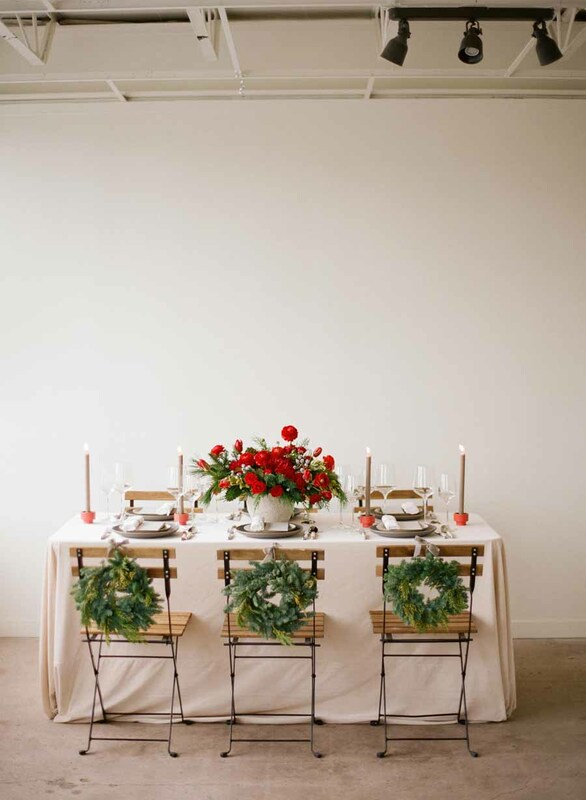 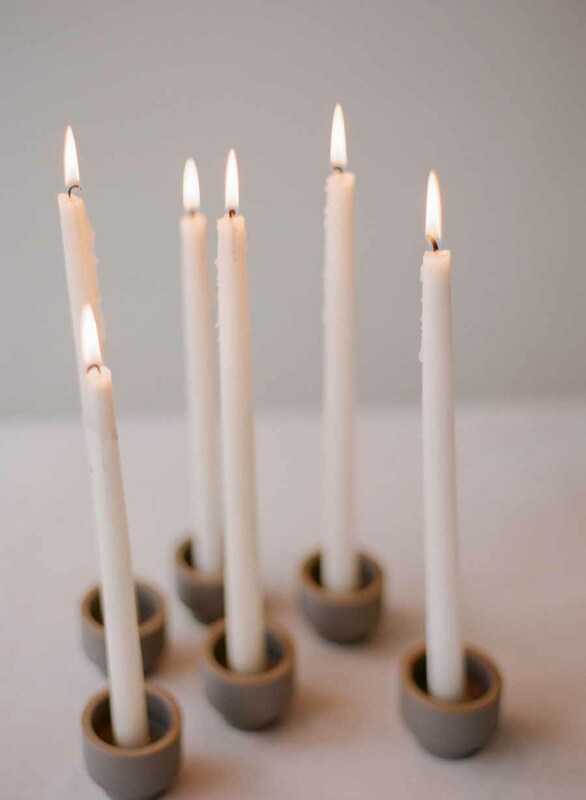 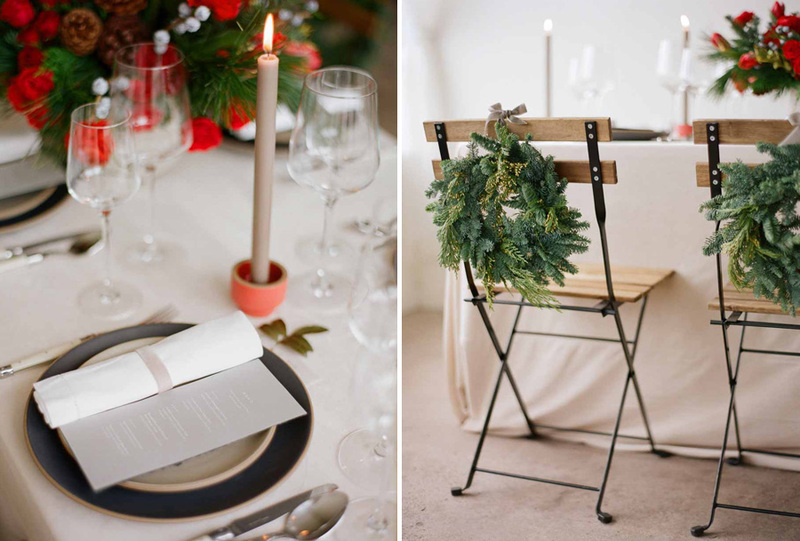 For each guest seat, mini evergreen wreaths add fragrance and a festive element to simple folding chairs. 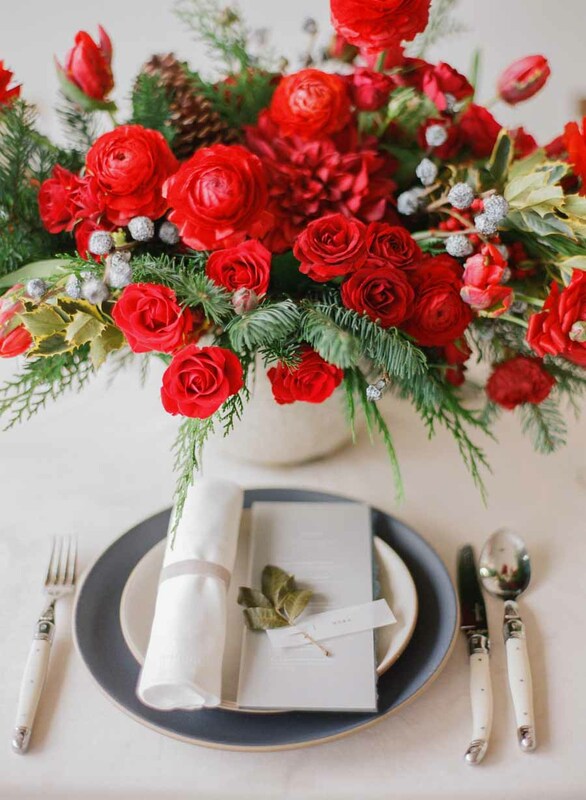 More holiday greens were used in the centerpiece and paired with lush red roses, ranunculus, and tulips. 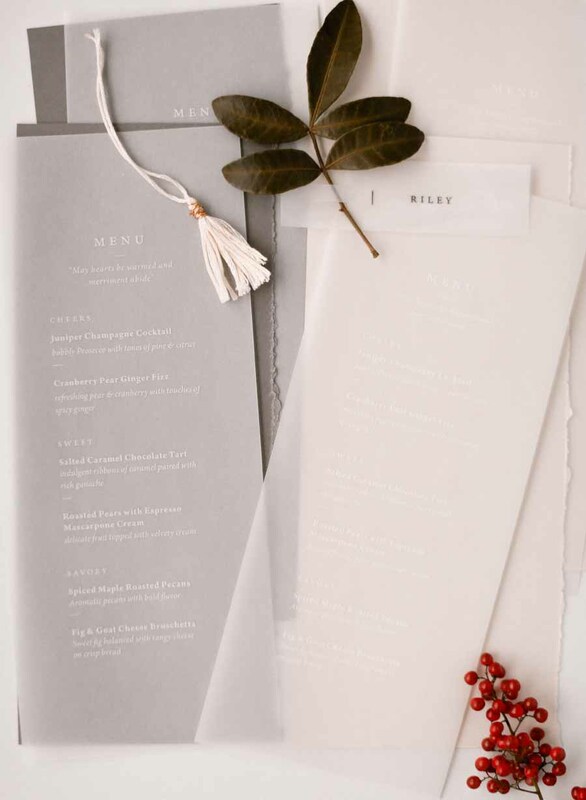 Place setting were composed of simple matte gray plates with each guests’ napkin tied with a chic vellum seating tag by Andrea Crouse. 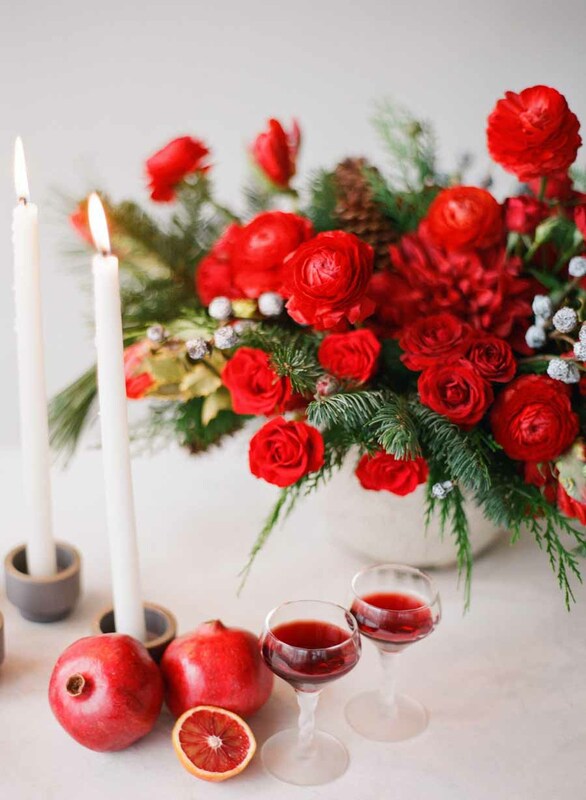 And finally, a merry cranberry infused libation to complete the scene!